Pain Fade Spray is in at the Shop!!!! 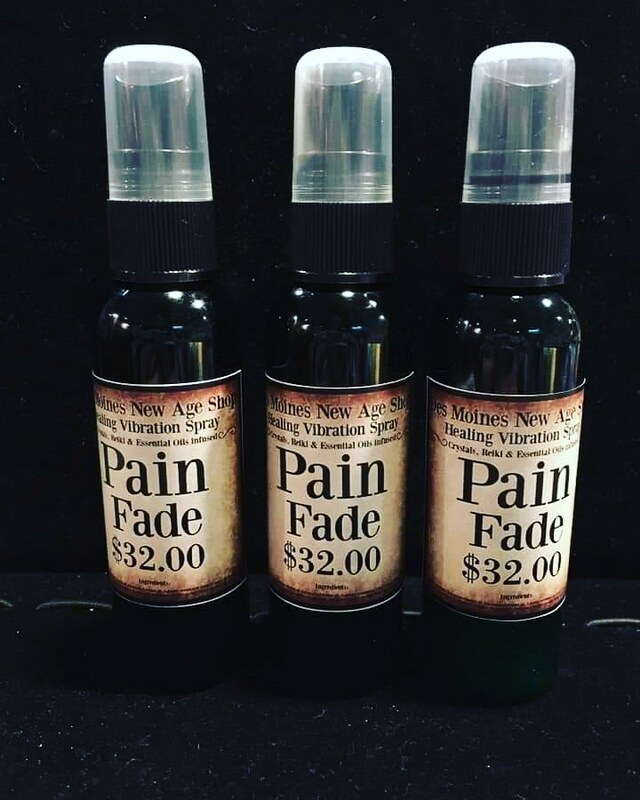 After much tweaking & testing , We have perfected our Pain Fade Spray & it is now available at #desmoinesnewageshop !!! Designed for immediate & efficient pain relief. Pain Fade Spray- Essential oils of Peppermint,Lavender, Wintergreen,Frankincense, Eucalyptus, Camphor, Clove, Buddhist Holy water, Hemp seed oil, Menthol, WitchHazel, Clear quartz and each Bottle is Reiki Charged. Previous PostPrevious Dry Hair during the coldsnap, Coconut oil!!!!!!!! Next PostNext Dragonsbreath Opal PSA from the Shop!